The clock is ticking; in less than 24 hours, wave after wave of (un)welcomed relatives will swarm your house in light of Chinese New Year festivities. Of course, they will have their piece to say, but instead of pinning a target on your relationship status, why not divert their attention to your eye-catching festive get up? Not auspicious enough, you say? Then complete the outfit with these felicitous red watches. It’s double the prosperity with this Gucci Dive watch in gold and burgundy. 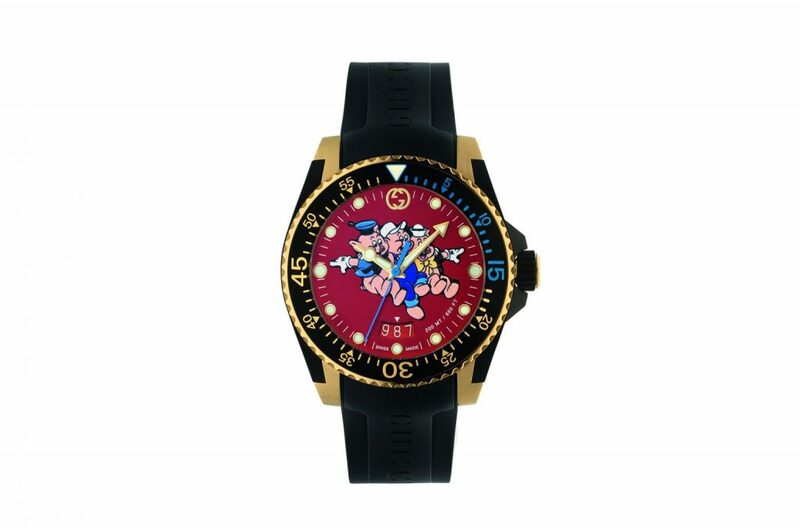 The “Three Little Pigs” from Disney’s iconic 1933 cartoon of the same name are brought back from the archives to make an appearance on the wine-coloured dial. The watch also sports a yellow gold PVD and black rubber case, ensuring that luck comes your way even if you are not superstitious. Speeding off to your next stop down the family tree? 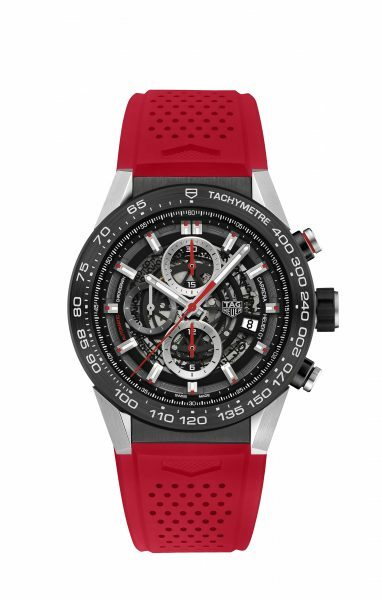 Then bring along the performance-driven TAG Heuer Carrera Heuer 01 Red for the ride. The blaring red perforated rubber strap suits the chronograph’s hard-to-miss 45mm case, while red-accented seconds and sub-dial hands on the busy dial reward the observant. 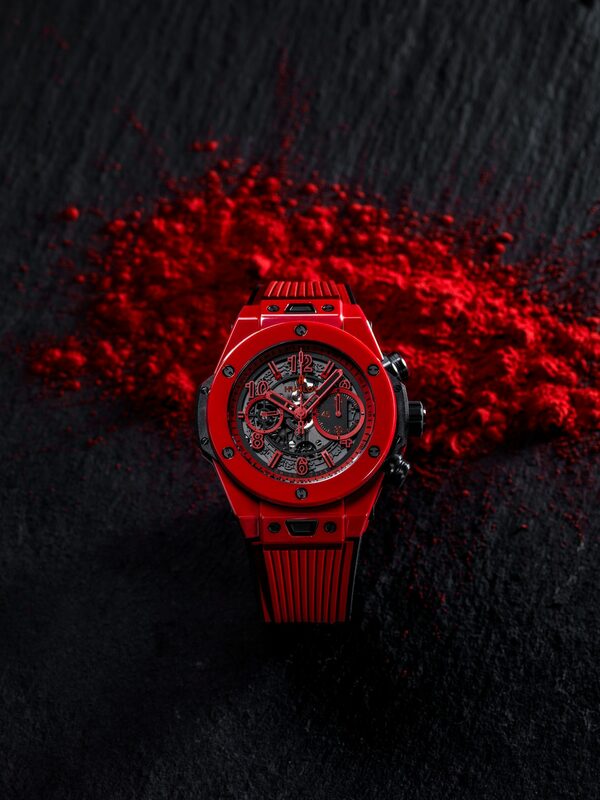 Swathed in an impressive coat of crimson, the Hublot Big Bang Unico Red Magic completes our list of fortuitous tickers. 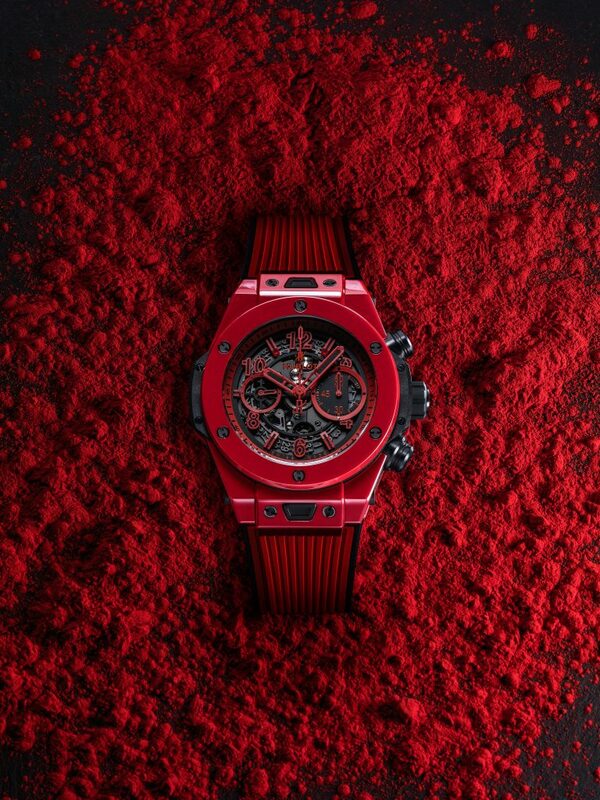 The Swiss watchmaking Maison once again proves its mettle with the creation of the world’s first vibrantly coloured ceramic in red, thanks to a cutting-edge process that involves the fusion of pressure and heat to sinter the ceramic without burning the pigments. To commemorate the Singapore Bicentennial, we reflect on the nostalgic reflections for fashion.